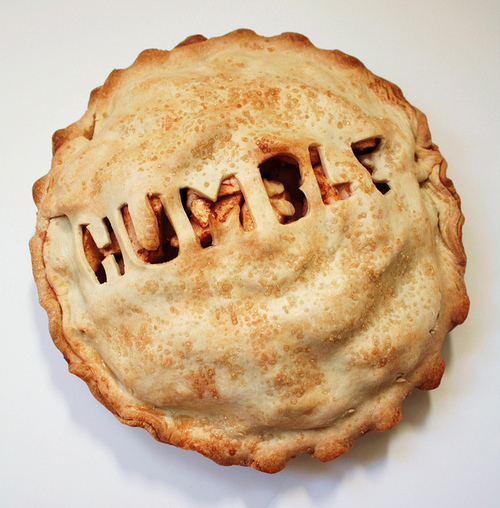 Humble Pie is essential to the Entrepreneur’s diet. We all know that confidence and having cajones is a big part of being a successful startup founder or entrepreneur. You simply cannot make the leaps and bold decisions necessary without that certain confidence. What I am discovering more and more though is that confidence’s seeming polar opposite, humility, can be just as critical. Learning is the new metric for growth. The faster you learn, the faster your startup develops. If you are able to create an internal system which systematizes learning, then you are halfway there. This old version is now completely unrecognizable. 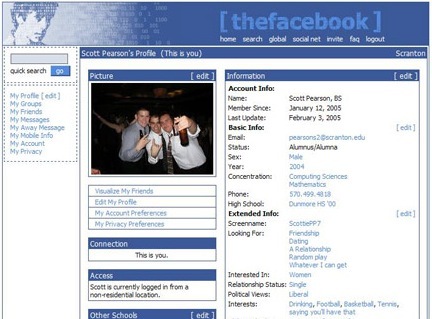 The 2012 version is infinitely more user-friendly and intuitive – an incredible social media experience. How did they get from point A to point B? They must have gone through hundreds, if not thousands, of iterations, small and large. How did they know what to iterate and how exactly to improve it? What is the pre-requisite for learning? That acceptance that the present condition is flawed. When starting or running a business, making mistakes is a absolute given. You will make mistakes. A lot of them. Startups are usually small organizations, so it is plainfully obvious when a bad decision is made. Usually, it is pretty easy to correct. Just tweak and move on, right? Well, to correct a bad decision, you first have to admit you made one. Here is where the trouble begins for some people. Don’t we all know of people whose pride is such that they never admit a mistake, and worse, blame everyone and everything before they take accountability. For a startup, time and energy zappers such as this could be fatal. For a startup, creating a culture of ownership, accountability, and yes, admitting mistakes is vital. When driving culture of course, everything starts from the top. The startup CEO has to quickly admit when he is wrong, and then quickly pivot the firm towards another option. The faster this is done, the faster the company can get to the right option, the lesser the strain on resources. He has to walk that line between powerful conviction and the ability to admit mistakes quickly. After the founders, the first employees you hire set the tone for what happens after. If you hire awesome people, you create an absolutely great foundation. A great team is everything. To ensure this, you have to be prepared to hire people who are better than you. This takes BOTH confidence and humility. Humility, for simply the acceptance that there ARE some people better than you and that you NEED them. Left unchecked, excessive confidence can lead to hubris. Hubris can lead not only to the fall of large corporations (see Enron), but startups as well. Overconfidence can lead a to a great many things which can kill startups: unilateral decision-making, not listening to customers and partners, a false sense of entitlement, resting on one’s laurels, excessive self-rewarding, refusal to accept the real situation, denial of probable consequences, and so on. This has led to the splitting of several founding teams I know – when one or more of the founders falls into the hubris trap. Previous PostAre you picking a passion, or a mere interest?